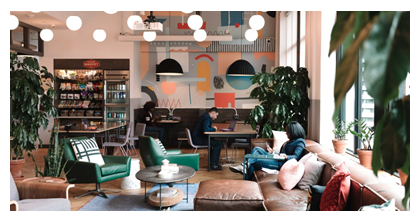 ​​ AUSTIN – WeWork, one of the national pioneers of the co-working model, will open another downtown location in 2018. The company signed a big lease—65,000 sf on the third through sixth floors—at Chase Bank Tower, 221 W. Sixth St.
WeWork estimates the new coworking site will accommodate more than 1,050 members. Private offices will be available that have capacity for up to 50 employees. WeWork opened its first Austin location in 2015 at 600 Congress Ave., and has expanded that footprint as other tenants left that downtown office building.